C1237. 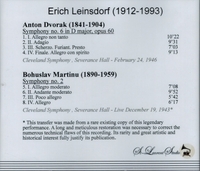 ERICH LEINSDORF Cond. Cleveland Orch. 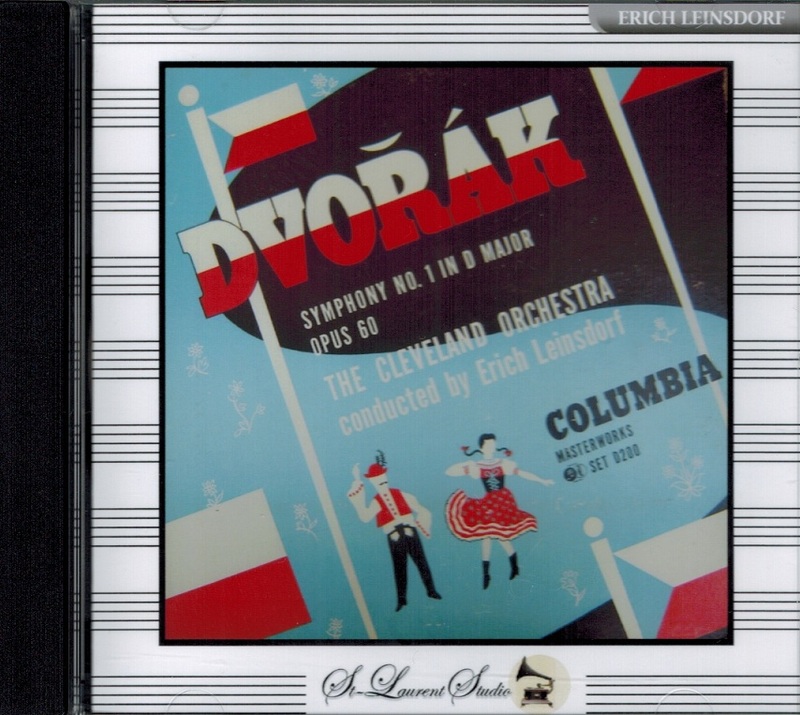 : Symphony #6 in D (Dvorák), recorded 24 Feb., 1946; Symphony #2 (Martinu), Live Performance, 19 Dec., 1943. (Canada) St Laurent Studio YSL 78-172, (Martinu is from a rare existing copy, albeit with technical flaws). Transfers by Yves St Laurent. 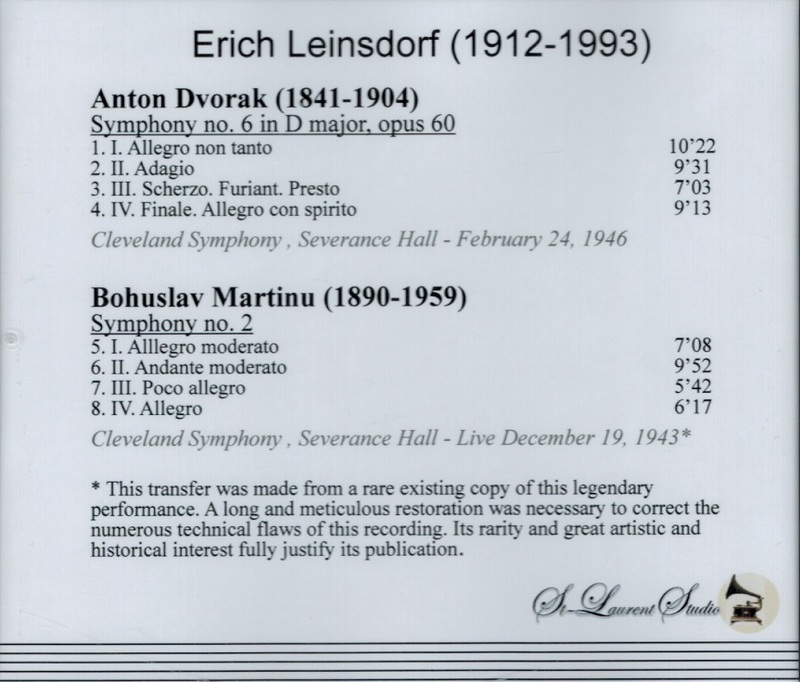 "Along with Leos Janácek, Bohuslav Martinu was one of the twin giants of Czech music in the twentieth century, a composer with a distinctly individual voice and a versatility that led him to excel in every medium from stage works to symphonies to string quartets."